1.1 All Bookings must be made by completing and submitting the Booking Form which can be downloaded from our website or obtained on request from the staff at the Meeting House. 1.2 When working out the period required for a room booking please include adequate time to set up and clear away after your event. An additional charge will be made for bookings that over-run the booked time, and extension will only be possible if the room is available after the booked times. 1.4 We reserve the right to refuse or cancel any booking at any time without giving reasons. 1.5 Proceeding with a booking application assumes acceptance of these Terms and Conditions. 1.6 If you are hiring a room for the first time, you must provide written details about your group/organisation and its aims, policies and objectives, before any booking request can be considered. 2.2 Invoices for the hiring charges will normally be issued directly after the event date booked and are payable on receipt. Payments must be made by BACS, or by Debit/Credit Card. 2.3 We reserve the right to ask for the full charges or a deposit to be paid in advance, and this will normally be the case for all new hirers. If less than 2 weeks' notice is received: Full Cost is charged. The aims and policies of the organisation or individual hirer are in serious conflict with Quaker values. Violence or the encouragement of violence at the event may reasonably be anticipated. Contravention of fire or health and safety regulations may reasonably be anticipated. Misbehaviour has occurred in connection with a previous event on the premises organised by the hirer. A hirer breaches Friends' Meeting House Rooms Hire Terms & Conditions. Building works or urgent maintenance requirements. Brighton Quaker Meeting will make a decision on a case-by-case basis with regard to all circumstances at the time. Cases may be referred to the Finance and Property Committee of Brighton Quaker Meeting, whose decision is final. 3. Publicity and advertising by hirers. 3.1 The name of the building is Friends’ Meeting House; please use this on any information relating to your event. 3.3 If the booking is for a public or performance event the wording of publicity and flyers etc must be agreed with us in advance. At least two weeks before a public/open meeting, a draft of the text proposed for any advertisement of the booking should be sent to the Meeting House for approval. We reserve the right to require changes to the wording, or refuse any speaker who is not acceptable. 3.4 Please ensure that your group's contact details are given on any publicity for your event. (Mail for you should not be sent to the Friends' Meeting House). It should also be apparent that your event is not held under the auspices of Brighton Quaker Meeting. 3.5 All publicity material (including in electronic media) must be exhibited lawfully. Fly posting is illegal and must not take place. 3.6 Requests to display A4 posters and A5 flyers at the Meeting House will be considered, but is at the sole discretion of the staff. 3.7 Open meetings and events must be chaired by an appropriate representative of the hirer organisation, and all those in attendance must be informed that proceedings must be conducted peaceably and respectfully. 3.8 Hirers' particular attention is drawn to the conditions set out below relating to safety, and hirers should discuss arrangements with staff well ahead of the date of the booking. 4. Care of the Meeting House. 4.1 The hirer must check in advance that the parts of the premises to be hired and the conditions of hire are suitable for their requirements. 4.2 The hirer is responsible for leaving the rooms used clean, tidy and fully vacated. Any electrical equipment used must be fully turned off. 4.3 Hirers are asked to conserve the use of electricity, water and heating whilst on the premises. 4.4 The arrangement of furniture in the room should be discussed at the time of booking. The staff will endeavour to set out the rooms as requested but please note this is done as a courtesy. You are responsible for arranging the chairs and tables in the room for your requirements, and you must allow time at the end to return the room to the arrangement you found it in. 4.5 No nails, screws, drawing pins, tape or staples shall be used on the walls, woodwork, doors or furniture. Posters or placards may only be put up with the agreement of a member of staff in the manner agreed. 4.6 No sellotape or blu-tack etc may be used on painted surfaces. 4.7 Candles or other naked flames are not allowed in the building other than in ground floor rooms with prior approval of Meeting House staff. 4.8 Hirers are asked to take away all recyclable materials they use or have brought onto the premises and ensure these are recycled correctly. 5. Use of the Meeting House. 5.1 Use of the garden must be pre-booked (charges apply) and will be at the discretion of staff on the day. 5.2 No alcohol or illegal drugs may be brought into the premises, including the garden. 5.3 No smoking is allowed in any part of the building. This includes e-cigarettes. 5.4 Raffles and other games of chance are not permitted. Auctions for registered charities only are at the discretion of staff and must be agreed in advance. 5.5 No food or drink may be taken into the carpeted main Meeting Room except with the agreement of a member of staff. 5.6 No dogs are allowed on the premises including in the garden, except guide/assistance dogs accompanying someone attending a booked event. 5.7 The use of any part of the building by the hirer must not interfere with the use of the remainder of the premises by Brighton Quaker Meeting or other hirers. 5.8 All users of the premises must act in a tolerant, peaceful and non-aggressive way; violent or threatening language or behaviour will not be accepted. 6.1 All hirers are required to provide the name of an individual (“responsible person”) who will be in charge of the booked event on the day(s). If a series of dates has been booked, and there are changes to the responsible person then the hirer must provide us with the name and contact details for each occasion. 6.2 Fire safety. The hirer's responsible person must ensure that they are familiar with the location of fire exits, fire extinguishers, and the assembly area outside the building. They must ensure that emergency exits are not blocked. The hirer should inform all participants at their meeting(s), of these procedures, and is responsible for the safe entry/exit of all participants at their event including any who are disabled. 6.3 The hirer must limit the numbers attending their event to the published room capacities, as shown on our website. 6.4 Use of the premises is at the hirer's risk. The hirer is responsible for any damage to the premises, fabric, furniture, fittings, chattels and equipment resulting from their booking or caused by those people attending the booked event. and shall take reasonable steps to ensure that damage shall not occur. The hirer should report any damage occurring and without delay. 6.5 The hirer, in consultation with a member of staff or other representative of Brighton Quaker Meeting, is responsible for ensuring proper supervision of entry to /exit from the building during their event. Mindful for the safety of people coming into the building and their security, Brighton Quaker Meeting requires the hirer to provide designated stewards for large events in the Meeting Room or Lecture Room. We reserve the right to require a hirer to have an extra member of staff on duty as a condition of the booking proceeding. Any costs incurred by us in providing extra staffing will be discussed in advance with, and charged to, the hirer. 6.6 Brighton Quaker Meeting shall not be responsible for any injury to persons, or loss or damage to property during the hirer's use of the premises, other than injuries caused by the negligence of Brighton Quaker Meeting or its staff. Any property belonging to the hirer is left in the building at their own risk. Hirers should ensure that they have adequate insurance cover in respect of liability to any persons, or loss or damage to property, including personal injury and death of third parties (including employees and volunteers) and damage to the building or to the property of others. and any specific cover they may need in respect of their own property, or cash or activities during the use of the premises. 6.7 The hirer is responsible for safeguarding at all their events. Any activities for children or vulnerable adults should comply with current safeguarding legislation. It is the responsibility of the hirer to ensure that all necessary criminal record checks have been undertaken. Brighton Quaker Meeting cannot accept any responsibility for the hirer’s failure to comply with these requirements. These Terms and Conditions will be reviewed and updated from time to time by: Finance and Property Committee of Brighton Quaker Meeting. 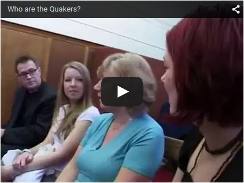 Brighton Quaker Meeting is within Sussex West Area Quaker Meeting. Registered charity number 1147831.